Trip Highlights: Baffin Island and across Baffin Bay to Greenland, two perspectives on the Arctic, similar but distinct. 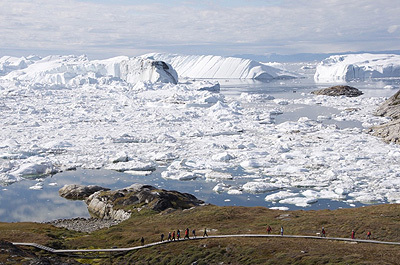 Look out for wildlife such as polar bears and walrus, visit the iceberg factory that is Ilulissat Icefjord. Rate Includes: Transfer from the Fairmont Hotel MacDonald in Edmonton to the charter flight; transfer from the charter flight in Cambridge Bay to the ship; transfer from the ship to the charter flight in Kangerlussuaq; transfer from the charter flight to the Fairmont Chateau Laurier; gear on loan (waterproof/windproof jacket, bib pants, insulated rubber boots, binoculars, and trekking poles). Subject to change without notice. 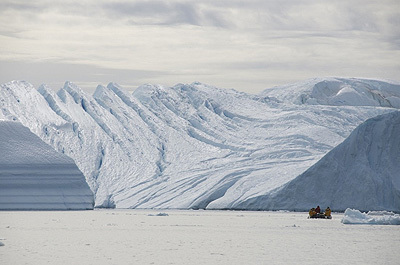 This iconic voyage explores the remote Northwest Passage and stunning fjords of the Baffin Island coastline before crossing to Greenland and its mind-blowing icebergs. Following the paths of the legendary early Arctic explorers, we journey through the archipelago of islands and channels of Canada's high Arctic on our expedition ship. Meet this morning at the Fairmount Hotel MacDonald and join your group transfer to your charter flight. 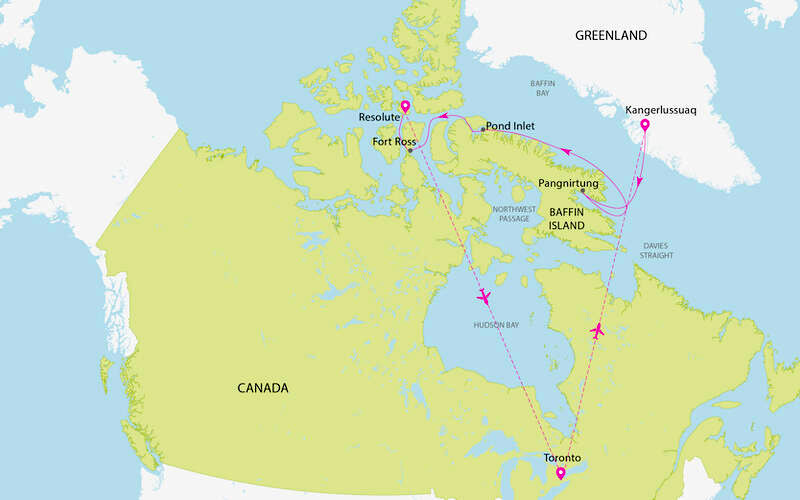 Enjoy a charter flight to Cambridge Bay, a remote outpost above the Arctic Circle. Located on the southern shores of Victoria Island, today it is a center for hunting, trapping and fishing. Enjoy a walking tour of the town and then board your expedition ship.Excitement is in the air as you enjoy a welcome cocktail and cast off, bound for the fabled Northwest Passage. As you chart a course into the Northwest Passage, your on board presentation series begins and you delve into the tale of the Franklin expedition. The mystery of what happened was partially solved in September 2014, when a joint Parks Canada and Royal Canadian Geographic Society expedition found the HMS Erebus in the Victoria Strait. You will aim to visit Victory Point, traveling very near the actual location of the wreck of HMS Erebus, while learning about the quest for exploration that eventually opened up the Arctic. Experts all agree that the second of Franklinâ€™s lost ships, HMS Terror, is likely to be in this vicinity. This morning you will arrive at Conningham Bay on the shore of Prince of Wales. This is one of the most remarkable wildlife sites in the Arctic. A hot spot for polar bears who come here to feast on Beluga whales, it is not unusual to find the shoreline littered with whale skeletons and very healthy looking polar bears! Today you will transit the narrow passage of Bellot Strait. The mixing of waters in this strait provides an abundant food source for marine mammals, and you will keep your eyes peeled for harp seals, bearded seals and even polar bears. The skill of the captain and officers and the capabilities of the ship become apparent during this exciting day of Arctic navigation. The historic site of Fort Ross, located at the southern end of Somerset Island, is a former Hudsonâ€™s Bay Company fur trading outpost. 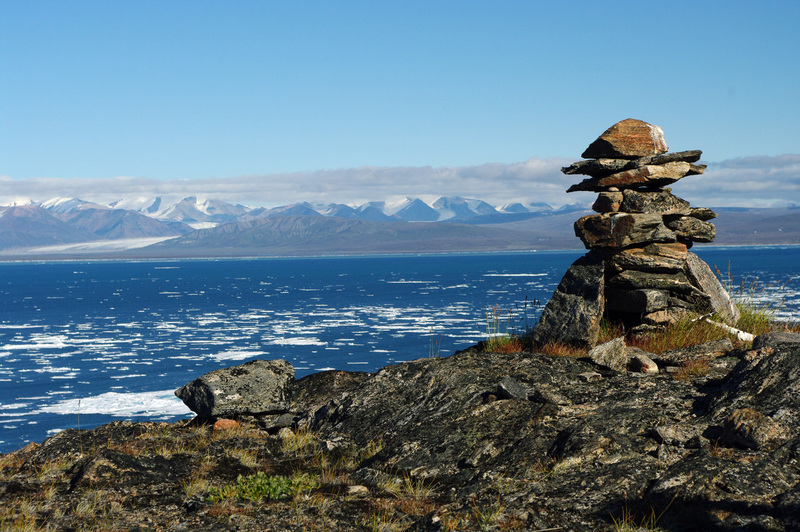 Fascinating archaeological sites nearby tell a story of more than a thousand years of habitation by the Inuit and their predecessors. Beechey Island is of great historic importance. It is here that Sir John Franklinâ€™s ill-fated expedition spent its last â€˜comfortableâ€™ winter in 1845 before disappearing into the icy vastness. A trip ashore at Beechey Island to visit the grave markers on a remote windswept beach gives one pause to wonder on the bravery (or foolhardiness) of these pioneering explorers, as they sought a way through the barren, frozen landscape. You are now at almost 75 degrees north of latitude. Cruising the coastline of Devon Island, you are in the waters of Lancaster Sound â€“ a rich, bio-diverse region often referred to as the wildlife 'super highway' of the Arctic. 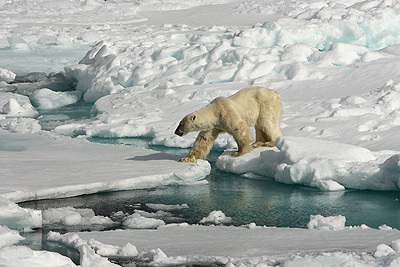 These massive volumes of water from Baffin Bay to the east, Beaufort Sea to the west, and from the archipelago of islands to the north, combine to make a rich cocktail of nutrients supporting an abundance of Arctic wildlife. Plan on visiting the old Royal Canadian Mounted Police (RCMP) outpost at Dundas Harbor, situated on the southern shores of Devon Island. In the morning, you will catch a first glimpse of the wild north coast of Baffin Island and navigate through Navy Board Inlet. 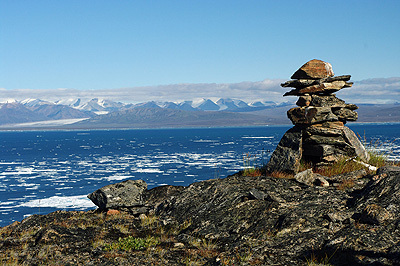 The vast landscapes of Sirmilik National Park surround you as you approach the remote Inuit community of Mittimatalik (Pond Inlet). A highlight will be a visit to the Natinnak Centre, where a fascinating cultural exhibit showcases daily life, culture and history of the people of the north. You will also enjoy meeting the local children of Mittimatalik and marveling at their athletic abilities as they demonstrate traditional Inuit games. This morning you will enter the spectacular Gibbs Fjord. Your expedition ship will be dwarfed by the giant peaks and snowy glaciers as you cruise along the dark waters. Day 9At Sea in Baffin BayLeaving the rugged coastline of Baffin Island, your crossing of Baffin Bay allows you time to slow down and reflect on the beauty and experiences you have shared. Your team of on board experts will continue to educate you on the history and wildlife of the region while your naturalists keep watch looking for fulmars and dovekies, pilot whales and perhaps even orca. As you approach Greenland, you will also increase your likelihood of spotting some of the big baleen whales like the fin and sei whales. For many, today is the highlight of the voyage. Truly one of the wonders of the world, the Jacobshavn Icefjord â€“ a UNESCO World Heritage site â€“ spews giant tabular icebergs out into Disko Bay. The glacier that creates these stunning monoliths advances at over 40 meters per day, creating around 50 cubic kilometers of ice annually. 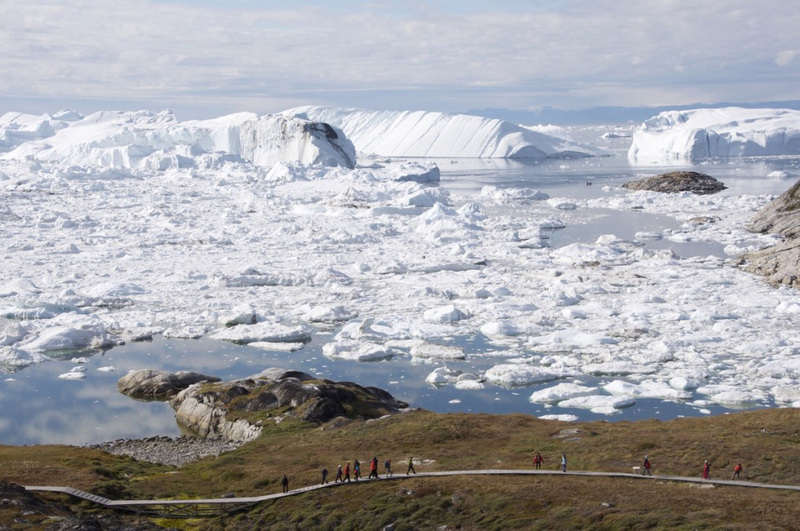 Your approach to Ilulissat is dependent on the amount of ice in and around the mouth of the fjord. Your captain and officers are skilled ice navigators and your ship has one of the highest ice ratings of any vessel exploring Arctic waters. 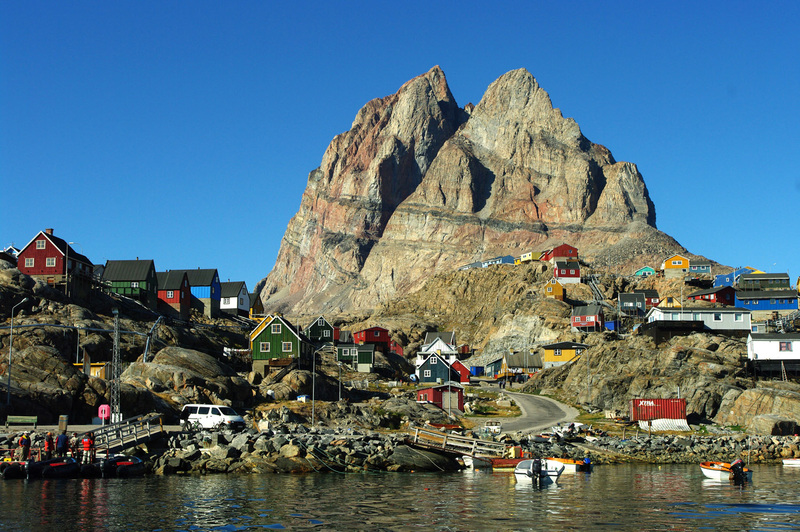 One of the worldâ€™s longest fjords, Sondre Stromfjord towers above the ship as you approach. The plan is to venture into some of the small side fjords that you can Zodiac into and explore on foot or by kayak. Major geologic and geomorphologic features will surround you and you will hopefully be able to find muskox along the shores of the fjord as well. Soaring high above you will be the white-tailed sea eagle, riding the thermals off the ridges. There are fantastic opportunities for hiking. Today you will disembark after breakfast in Kangerlussuaq, Greenland. Transfer with your group for your charter flight to Ottawa. A transfer will be provided in Ottawa to the Fairmont Chateau Laurier downtown. Make your way to your chosen hotel per your own arrangements. Specific sites visited will depend on ice and weather conditions experienced and the itinerary will be updated throughout the voyage in order to take advantage of favorable conditions. ExpeditionTrips is not responsible for itinerary changes. Once you have booked your voyage to the Polar Regions, you will be required to complete a Medical Information Form. This form must be completed, signed and returned no later than 90 days prior to departure. Please arrive Edmonton by 2 PM on the day before your voyage departure date, as attendance at a very important expedition briefing about charter flights and embarkation logistics is expected that evening. At the conclusion of your voyage, the return charter flight will arrive in the early evening and a transfer will be provided from the airport to a central downtown location. We recommend staying overnight in Ottawa and scheduling your onward travel plans for the following day. 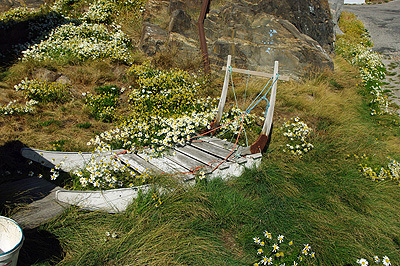 A range of guided hiking options are available for passengers, from contemplative, relaxing shore walks to two-to-three hour treks with challenging terrain. The photographer-in-residence provides presentations, critiques, informal instruction, and a photographer Zodiac to assist with each passenger's photographic goals. Limited to 16 participants. Kayakers will be accompanied by three kayak guides. This optional activity requires previous experience and must be booked in advanced. Please contact ExpeditionTrips for details. Transfer from the Fairmont Hotel MacDonald (or equivalent meeting place) in Edmonton to the charter flight; transfer from the charter flight in Cambridge Bay to the ship; transfer from the ship to the charter flight in Kangerlussuaq; transfer from the charter flight in Ottawa to the Fairmont Chateau Laurier in Ottawa; cabin accommodations and meals aboard the ship; daily afternoon tea; 24-hour tea, coffee, and hot chocolate in the lounge and in all cabins (replenished daily); expertise of experienced expedition leader and professional expedition team of marine biologists, naturalists, historians, adventure guides, and photographers; daily shore excursions by Zodiac boat in small groups; guided hikes; educational presentations and talks by polar experts; access to computers in the multimedia lab for image downloads, file back up, and management; emergency-trained physician onboard every voyage; onboard sauna, plunge pool, Jacuzzi, and fitness center with personal trainer and massage options (additional charges apply for massage and spa treatments); well-stocked library with polar reference books; end of voyage video, photos, and take home USB; port fees and permits to access visited areas; and gear on loan (waterproof/windproof jacket, bib pants, insulated rubber boots, binoculars, and trekking poles). Subject to change without notice. Any international or local airfare unless otherwise specified in the voyage itinerary; airport taxes; visa and passport expenses; pre- and post-cruise hotel accommodations unless otherwise specified in the itinerary (or pre-arranged); personal expenses on board such as alcoholic beverages, bar charges, extra meals, or laundry expenses; telecommunication charges (i.e. email, satellite phone); baggage, cancellation, or medical travel insurance-related expenses; travel insurance (mandatory on all trips); optional activities (i.e. kayaking); a voluntary gratuity at the end of the voyage for expedition staff and ship crew (suggested amount $12-15 per day); fuel surcharge may apply.